Trump staffer Stephen Miller, an arch-conservative, defended Trump’s Muslim ban on television Monday by pointing to Europe, where he alleged there were Muslim ghettos that bred radicalism over generations. While a tiny number of Muslim Europeans deriving from poor neighborhoods have become radicals, they don’t actually appear to come from fundamentalist families and several were actually petty criminals with anything but a puritan style of life before they went radical. In most years in the past decade, Muslim terrorist actions have been like 1% of the European total (2015 obviously was an exception). It is estimated that only 2/5s of French Muslims even consider themselves religious. Miller lives in a world without facts. He doesn’t know what he is talking about when it comes to European Muslims and has simply bought a lot of propaganda. Although the entire British nation and most of Twitter made unbearable fun of Emerson for his ridiculous fantasy, in Stephen Miller’s mind Emerson was perfectly correct. And he and alt-Neo-Nazi Stephen Bannon are now writing legislation on the basis of these Islamophobic fairy tales. 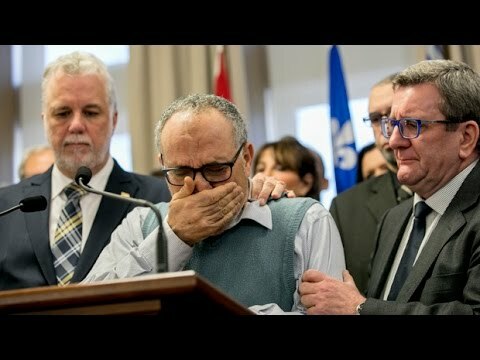 Just how detached from reality these troglodytes are is demonstrated by their reaction to the horrifying Quebec mosque shooting, which was allegedly committed by Alexandre Bissonnette, 27, a far-right young admirer of French extreme nationalist Marine LePen, and of one Donald J. Trump. Like America’s Dylann Roof, he was seduced by the Islamophobic Network that spends millions of dollars a year defaming Muslims. He spoke of being “invaded” by immigrants and of the danger of Canada becoming “like Europe” (no doubt he was afraid of those Birmingham no go zones). He also denounced feminism. His college friends called him an introverted nerd. Trump spokesman Sean Spicer actually cited the mosque shooting as though it had been carried out by a Muslim Canadian and gave it as a reason for which Trump’s Muslim ban had been justified! Surely if the mosque shooting indicated anything, it is that Trump has no business being president, if he is going to whip up ethnic and religious hatreds even beyond the US borders that result in innocent people being killed. By now, I have little doubt that most Trump supporters firmly believe that the Quebec mosque was shot up by a radical Muslim from Birmingham’s no-go districts and that is why Great Leader has to protect us from damn furriners. Only it is our heads.